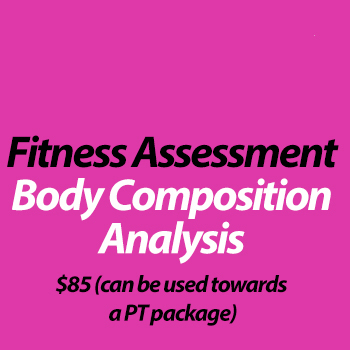 An in-person fitness assessment & body composition analysis with one of our Body Beautiful Coaches. Can be applied towards your personal training package, once you decide to proceed with training with your coach. Fitness assessment - strength, endurance, flexibility and bio-mechanics. Have any questions about your initial assessment?